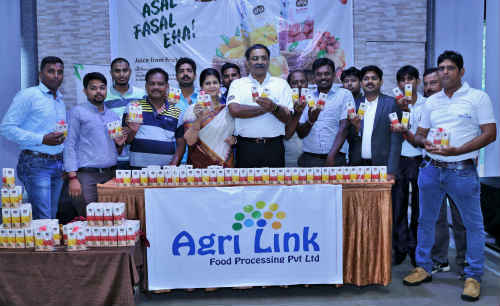 Bhubaneswar: A home-grown fruit juice company Agri Link Food Processing Private Limited brings to its customers pure and healthy juices made from fruit pulp. The Odisha based company has launched EHA Lychee and EHA Mango fruit pulp based juices in local the market recently. In the near future, four more types of juices shall be added and in fact one of them shall be the first of its kind in India in the mass market format. Lt Col Ashit Mahapatra, Founder and Managing Director, Agri Link Food Processing Pvt. Ltd. started his company with an aim to link our horticulture farmers to the customers so that they get the best value for their produce and reduce their losses due to lack of storage and processing facilities. “With our quality raw material, advanced processing and purity of the products, we aim to see EHA amongst the top ten fruit juice brands in India in the coming years”, said Ashit Mahapatra during the launch event. Various brands and varieties of fruit juices are available in the market. But many contain only flavouring agents (no fruit juice) and preservatives which are not good for health. “EHA contains juice made directly from the fruit pulp and is free from any kind of preservatives”, informs the founder. EHA is different from other products as it contains Aloe Vera which is known to be extremely beneficial for digestion, better skin, improved immune system, rashes and skin irritations and also has antioxidant properties. EHA is also fortified with Vitamin A and C to make it a healthy drink. In the first phase, EHA will be made available across 10 districts in more than 2,500 outlets. EHA Lychee and EHA Mango is available in a 200 ml pack for Rs. 15 only. In the coming days, EHA will be made available in various pack sizes and also in PET bottles in different volumes. The juice was formally launched at an event in Bhubaneswar which was attended by many dealers and wholesalers. The chief guest of the function was Mr. Ashish Chatterjee, who currently serves as an advisor to Agri Link and has an experience of over 42 years in the beverage industry. Mr. Chatterjee pointed out that EHA being a fruit pulp based juice product will soon become popular in the national and international markets. Right now, EHA is being packaged at one of India’s leading beverage manufacturing plants. 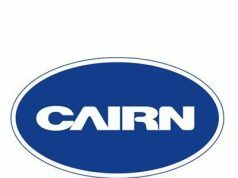 Agri Link would be setting up a state of the art juice processing plant in Bhubaneswar very soon. “Agri Link is developing a network of horticulture farmers across the state for growing high quality fruits. The company believes that the farmers should benefit from their produce in terms of price and sustained sourcing. Moreover, Agri Link will provide seeds andother technical support so as to encourage the local fruit growers,” says the founder. Lt Col Ashit Mahapatra, a known Agri-entrepreneur from Odisha was formerly associated with a leading private dairy company of Odisha as a co-founder and was the driving force in establishing its robust and ethical milk sourcing network which has transformed the lives of thousands of farmers. EHA is the maiden product of his recent venture Agri Link.